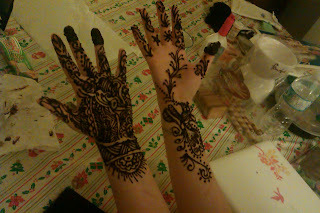 My lovely flatmate made me these beautiful henna tattoos. 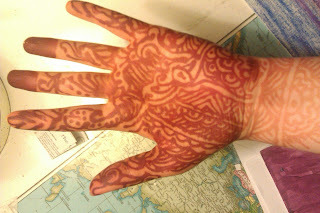 First she put on some henna paste, and after it dried for almost an hour, I washed it off and put some cream on it. 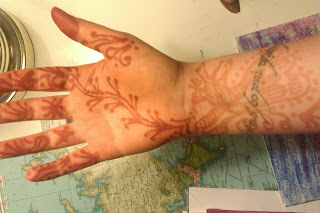 Now the colour has changed, I love how the colours are different on the hands and on the wrists. My flatmate says, they will stay for the next 2-3 weeks. Hope we'll recognize you when you come home!